Mixed martial arts fights are coming to the lucrative New York arena after a bill passed making it the last state in the country to legalize the bouts. "Thank You NY State Legislature!" tweeted Ultimate Fighting Championship chairman and CEO Lorenzo Fertitta. "We are one step closer to making MMA a reality in New York! #MMA4NY"
New York is the only state where MMA competitions are illegal. Gov. Andrew Cuomo plans to sign the bill, according to his spokesman. That will make the sport legal within 120 days, ending the state's 20 year ban. Assembly Majority Leader Joseph Morelle, lead sponsor of the bill, said in his press release that it "would enhance the safety of all participants" by requiring $1 million accident insurance policies to "cover medical costs associated with life-threatening brain injuries sustained in a match." 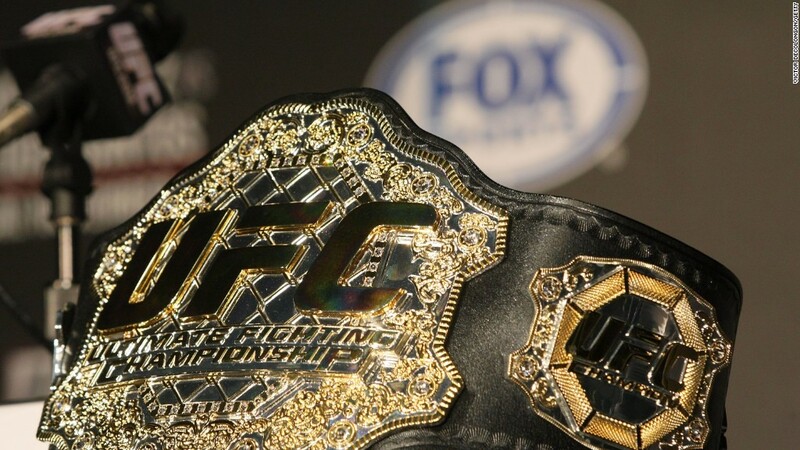 The UFC is already planning to host one or two fights in New York before the end of the year. "In 2016, we bring the Octagon to NY," tweeted Dave Sholler, UFC vice president of public relations. The UFC hopes to eventually be able to hosts bouts in Madison Square Garden. 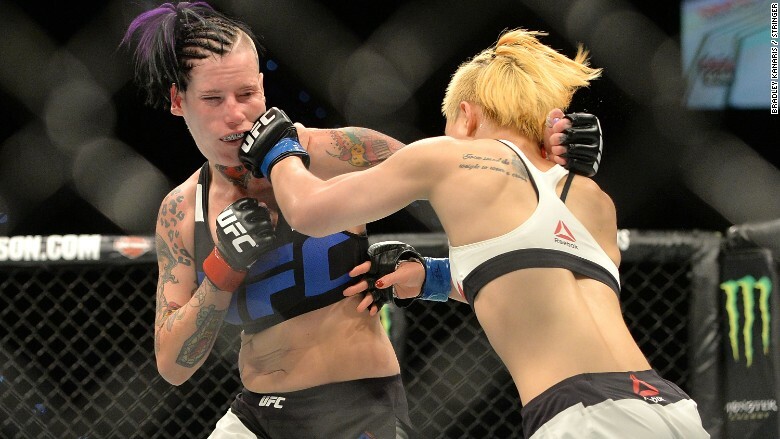 MMA fighters like Bec Rawlings (left) and Seohee Ham, seen here in Australia, could soon be slugging in New York, where lawmakers are legalizing competitions. Bellator, a rival to UFC, is trying to line up a fight at the Barclays Center in Brooklyn. "We've already been in contact with the great people at Barclays Center and several other incredible venues," said Bellator president Scott Coker. The legalization of MMA competitions in New York State could be a significant boost for the sport, given the rich financial and media resources of New York City. Getting MMA into Madison Square Garden will help broaden its growing acceptance, said Max McGarr, an instructor at the Renzo Gracie Academy New York, a training ground for many UFC fighters including Rafael Natal, Frankie Edgar and Georges St. Pierre. Legalizing the sport will also deliver a KO to the illegal fight clubs of Brooklyn and Queens, according to Jim Genia, author of "Raw Combat. The Underground World of Mixed Martial Arts." "An underground scene is created when there's no other outlet," he said. "There's going to be no need for it." He said that fight clubs fizzled out in Pennsylvania and Massachusetts after MMA was legalized there. Peter Storm, who runs an illegal league in New York called the Underground Combat League, said he plans one more contest. "The underground era is over," he said to CNNMoney. "One UCL show and that's it." 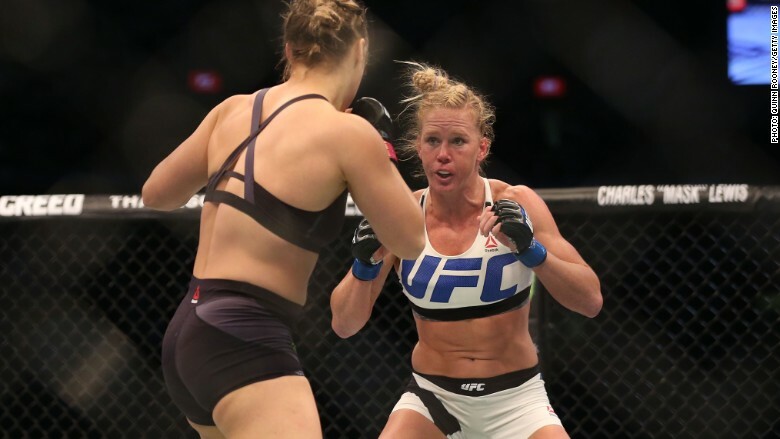 Mixed martial arts is exactly what it sounds like: a combination of different fighting styles. MMA fighters typically specialize in boxing, muay thai and jiu-jitsu, for a combination of upper body strikes and blocking, kicking and grappling. MMA has evolved from its infamously bloody beginnings in the 1990s, though it's still haunted by a reputation for brutality. "People are stuck in the old ways of thinking," said McGarr. "They think it's a cage match where there's really no rules and the people who step in there are animals, and that's really not the case." Now there are rules, he said: No eye gouging, no groin strikes, no hitting to the back of the head, and no "6 o' clock elbow strikes on the ground."